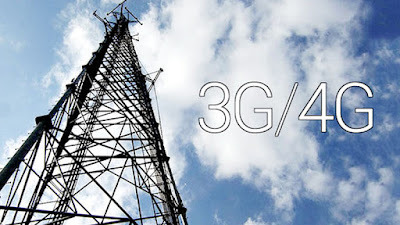 Jazz has emerged as the only bidder for the auction of Next Generation Mobile Services (NGMS) (3G/4G) spectrum and would get it at base price of $295 million. Jazz will have to pay additional withholding tax of $29.5 million ie 10 per cent of the auction winning price ($295 million) of next generation mobile services (3G/4G). The base price of $295 million for 2X10 MHz of 1800 is around 30 per cent higher than the previous base price of $210 million for 2X10 MHz block in same band. The telecom operators had demanded the government to eliminate withholding tax (WHT) on spectrum auction but the government has rejected the demand, said official sources. Jazz has a total of around 53 million subscribers with around 13 million 3G and over 0.8 million 4G users. Ufone, Telenor and Zong are not participating in the spectrum auction while the government has also failed in attracting any new operator in the market. Pakistan Telecommunication Authority (PTA) has announced to hold spectrum auction on May 24, 2017. The deadline for submission of applications was May 17, 2017 where only Jazz submitted application. The spectrum included in the NGMSA comprises 10 MHz of paired spectrum in the 1800 MHz band, however exact lot details will be finalised later as per the refarming plan. The PTA completed this procedure in an open and transparent manner in line with the policy directive of the Ministry of IT & Telecom, IM for auction and rules of the Public Procurement Regulatory Authority (PPRA). In accordance with the timelines of the auction process, an information session with the prospective bidders was also held on 3rd May, 2017. According to official statement, the PTA will now evaluate the bid as per IM and if it is found to have met all required conditions, the bid will be declared successful. The successful bidder will have two options for payment ie all payment ($295 million) made upfront, or 50 per cent payment can be made upfront and remaining 50 per cent in 5 equal annual installments with one year LIBOR plus 3%. It may be noted that this is the third NGMS auction held so far since 2014 and a total of $1.98 billion have been earned for the national exchequer through these spectrum auctions, maintained the statement. As per the information memorandum (IM), in case where bidding is not required due to receipt of single bid, applicant that submitted a pre-bid offer supported by a correct pre-bid deposit will be awarded the licence for use of spectrum. The government, however, reserves the right to withhold the spectrum for a future auction or award it, as deemed appropriate. In this case the PTA will fulfill all the requirements and stages as specified in the IM, but Jazz will be awarded the spectrum without conduction auction. The successful winning bidder will be notified in writing including spectrum won and the price payable. However, the government on Wednesday not only witnessed the exit of three existing telecom operators from the competition, it also failed to attract new entrant to participate in the auction for 3G/4G spectrum.